Giving birth is a pivotal life process that offers you and your family the opportunity for great joy, personal growth and change. Such an important journey deserves the personal care, attention and company of a midwife. At the Monadnock Birth Center, our mission is to provide every woman the unique opportunity to partner with our midwives for achieving their desired birth experience. Our midwives provide you with the highest-quality of personal, individualized care, that allows you to give birth in a way that reflects your values, choices and desires for yourself, your baby and your family. The care you experience at The Monadnock Birth Center with our midwives during your pregnancy, labor and birth is designed to reflect a set of core beliefs about the nature of birth and why your birth experience matters. As midwives, we have witnessed over and over again, that if pregnancy and birth are supported and allowed to unfold as nature intended, without pressure or interference, birth can be a safe, joyous and empowering experience. This knowledge, gained over many decades of caring for women and families like yours, deeply informs our philosophy of care, how our facility is designed and the services we offer to you. At the Monadnock Birth Center we offer you and your family care, support and information during your pregnancy and birth that will deepen your belief in the personal power you possess to give birth and to parent your child. Giving birth is a pivotal life-changing experience that offers you and your family the opportunity for great joy and personal growth. The Monadnock Birth Center invites you to take your journey with us, and experience the personal care, attention and company of our midwives in a beautiful and comfortable setting – the Monandock Birth Center. Our free-standing birth center offers you the unique opportunity to partner with our midwives to achieve your desired birth experience. Our Midwives know how to make sure that your safety and good health are attended to, while listening to what it is that you want from your birth experience. They want to know what your dreams are for this special time in your life. We are here to listen, guide, support and care for you. Together we can help you to have the birth you want – for yourself, your baby and your family. At the Monadnock Birth Center you are the focal point of our care. Come visit Monadnock Birth Center and meet our Midwives. Explore a care experience that is unique and different from a hospital setting. Listening to you and catering to your needs is the hallmark of our service at Monadnock Birth Center. Our Midwives partner with mothers to achieve the birth experience tailored to their needs and wants. At the birth center, you will receive the highest-quality personal, individualized care from midwives you will come to know well, and you will have the opportunity to give birth in a way that reflects your values, choices and desires for yourself, your baby and your family. Rather than submitting yourself to the policies and procedures of a hospital, your care will be a true partnership between you and your midwives, with respect for your intuition and knowledge of yourself as the basis for deciding what is right for you and your baby. 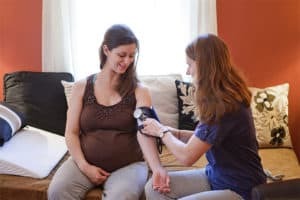 Your midwives will spend time with you: hour-long prenatal visits, the continuous company of a midwife during your labor and birth, three home-visits in the first week of your new baby’s life, as well as visits for you and your baby at three and six weeks. In addition to being the founder, owner and clinical director at the Monadnock Birth Center, Mary is the executive director of the National Association of Certified Professional Midwives (NACPM). She was a founder of NACPM in 2000 and served as president of the board for over a decade. Mary is a passionate advocate for midwives and for improving maternity care for all people, while working toward eliminating the unconscionable racial inequities in birth outcomes in the U.S. Mary has been a respected local and national leader and policy strategist for the last two decades and leads in shaping the policy agenda for NACPM in support of these goals. As a midwife since 1981, Mary has had the honor of attending hundreds of births with families in our community for over three decades. As the founder and owner of the Monadnock Birth Center, she enjoys offering the kind of personal care and necessary time to people that is not typically available to women receiving hospital care. This includes hour-long prenatal visits where women and their midwives get to know each other, and where women and their families can define what is most important to them for their care and their births. 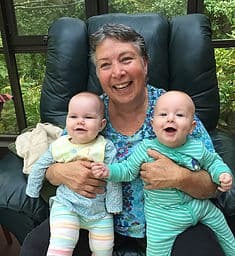 For most of these years Mary has been a homebirth midwife, where she has spent many, many hours of assisting new mothers while they gave birth to their babies away from the often-unnecessary interventions that can occur in hospitals. In 2008 she was able to fulfill a long-time dream of adding a birth center to her practice. Mary believes in the free-standing birth center model, which offers those who would not choose to stay home for their births, the kind of time-intensive and personal care that is the hallmark of community midwives. Mary studied midwifery in 1980-81 at The Maternity Center in El Paso, Texas; a free- standing birth center operated by midwives and a training center and school for midwives. She is a nationally Certified Professional Midwife (CPM), and is licensed as a midwife in both Vermont and New Hampshire. Mary graduated from Georgetown University’s School of Foreign Service in Washington, DC. and earned a master’s degree in counseling from Lesley University in Boston. 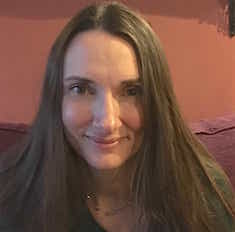 She has been active in successful legislative efforts to license community midwives in both Vermont and New Hampshire, and she serves as a Midwife Advisor to the Office of Professional Regulation in the Vermont Secretary of State’s Office, helping to oversee and support the practice of midwifery in the state. In 1976, Mary gave birth to her daughter at home before community midwives were widely available. In 2005 and 2008, she was privileged to be the midwife for her grandchildren’s births at her home in Putney, VT. In addition to her love of being a midwife, she is also deeply committed to increasing access for all women across the country to high-quality maternity care in homes and free-standing birth centers, knowing that women often experience much better outcomes in community settings than in hospitals. 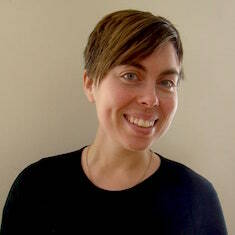 Bethany began growing into the identity of “midwife” after completing high school at the Toronto Waldorf School. She started by taking a doula class, gaining hands-on experience at a birth center in Texas, and participating in a multi-week midwifery intensive with Elizabeth Davis, one of the matriarchs of midwifery education in the United States. Meanwhile, she earned a Bachelor’s degree in Women’s Studies and Plant Science at the University of Guelph in Ontario, volunteered at the university’s Resource Center for Gender Empowerment and Diversity and raised some ducks in her backyard. After graduating from university she attended midwifery school at Birthwise, in Maine. 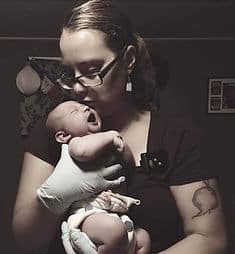 As part of gaining her CPM and NHCM credentials she apprenticed in 4 different home and birth center practices in Midcoast and Central Maine, and completed her clinical requirements at the Birth Cottage in New Hampshire. She accepted a position as staff midwife at the Birth Cottage and occasional assistant for Hearts and Hands Midwifery. Then she, her husband and their baby boy moved to Cheshire county, where she feels privileged to serve families in the tri-state region. Bethany strives to help clients shape their care to their individual needs, take ownership of their decisions, and feel heard and honored as active participants in pregnancy, birth and the postpartum period. She believes that collaboration between clients, midwives and other healthcare providers is the key to safe, progressive, and transformative care in the childbearing year. Since 1995, Toni has been inspired to provide care and support for women throughout their childbearing years. She began her midwifery studies as an apprentice with direct-entry midwives both locally, and in Pennsylvania’s Amish and Mennonite communities. In 2001, after completing her nursing degree, she began working as a maternal child health nurse in the hospital and for various community agencies, providing prenatal and postpartum support for mothers and babies, as well as childbirth education. In 2008, following the birth of her third child she became involved with the Monadnock Birth Center, as both a childbirth educator and assistant to Mary Lawlor, CPM. Last March she completed her master’s degree in nursing from Frontier Nursing University as a certified nurse-midwife. Toni has worked with women from all walks of life, an experience she credits with providing her the opportunity to offer clients empathetic care that is respectful of their individual circumstances. She is excited to once again be working at the Monadnock Birth Center, providing both maternity and wellness care, as well as childbirth education for women seeking a holistic, realistic approach to their health. 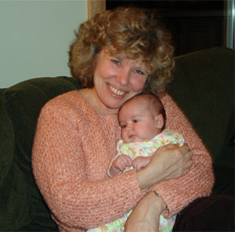 Alex is a Certified Professional Midwife, licensed in Vermont and certified in New Hampshire. She attended her first birth at the age of four, and decided to become a midwife when she was 14. After attending Smith College and receiving a BA in Sociology, she began apprenticing with midwives in 2005 and was trained as a doula in 2008. Alex began teaching workshops on Transgender Competency in Healthcare, which she facilitated at The Sperm Bank of California, UC Davis, Maternidad la Luz and Birthwise Midwifery School. In 2010 she began formal midwifery training at Birthwise Midwifery School in Bridgton, Maine. She graduated and was certified by the North American Registry of Midwives in 2013 and began her own practice in southern Vermont. Alex brings a holistic approach to her midwifery practice, meeting each family’s individual needs and offering clinically competent, respectful and responsive care. Alex lives in southern Vermont and provides midwifery care in Vermont, western New Hampshire and northern Massachusetts. Sarah is a Certified Nurse-Midwife (CNM) and Advanced Practice Registered Nurse (APRN) licensed in New Hampshire and Massachusetts. Sarah has wanted to be a midwife for as long as she can remember. 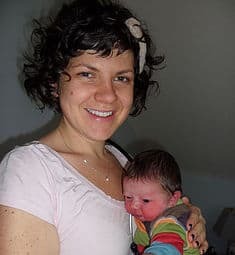 It’s not a stretch to say her journey into midwifery began with her own home birth in the Netherlands, where the majority of births still take place at home with the support of a midwife. As a child, she thought all babies were born at home, only later to learn from friends and classmates how unique her home birth was. Her roots in New Hampshire run deep. She attended Pine Hill Waldorf School and graduated from ConVal High School before attending the University of New Hampshire, where she earned a Bachelor of Science in Nursing. Sarah lives locally in the Monadnock Region, where most of her family still resides. After having her first child at home with no midwife in 1973, Abbey decided to become a midwife. With no birth centers, midwives were few and far between in those days and women had to fight to have natural births. She went to a lay midwifery school in 1977 and practiced into the 80’s. Abbey met Mary in 1983 and began assisting her at births – This began their long and very dear friendship. Mary was also the midwife for the birth of Abbey’s fourth child. In 1995, she moved to S. India to the international township of Auroville, and helped train village healthcare workers in prenatal care through teaching midwifery skills to a few village women who were helping at births. Abbey has been back in Vermont since 2013, and now has the good fortune to work with Mary again in her beautiful birth center.